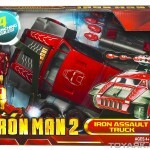 We have been given some official images of the Iron Man 2 Iron Assault Truck. Check the bio below. 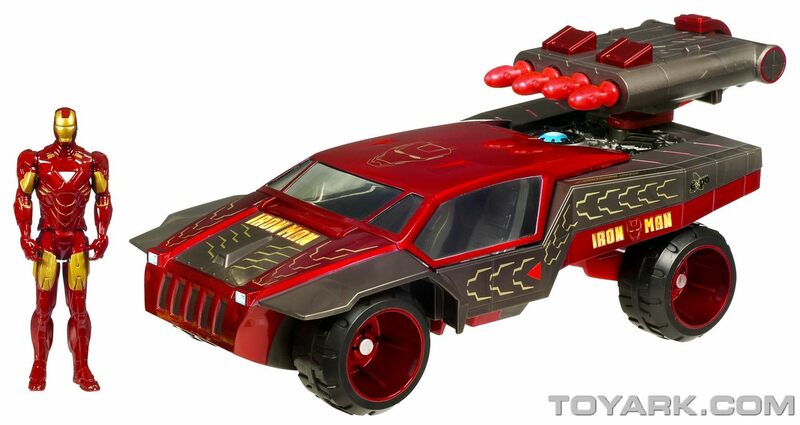 When Iron Man needs secure, powerful ground transport, this is the vehicle he turns to. Equipped with the latest in electronic countermeasures, it is all but invisible to enemy radar. 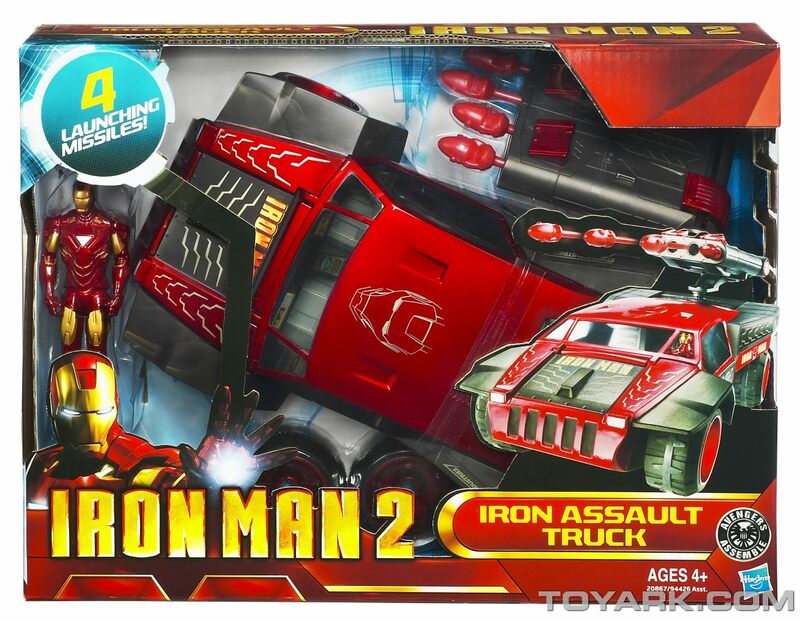 Protected by high-tech defenses, this truck slips into enemy territory unnoticed, and uses its devastating missile attack to destroy the bad guys’ base! 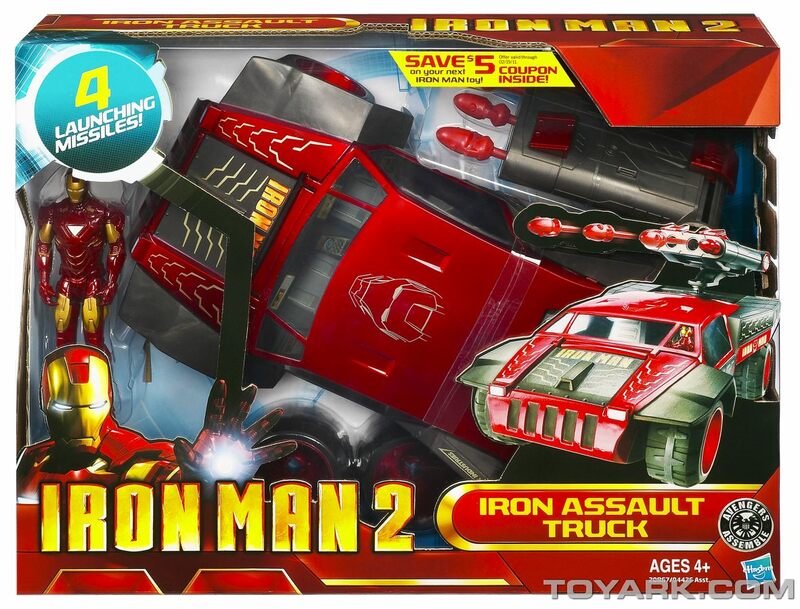 When your Iron Man figure has the need for speed and power, this Iron Assault Truck vehicle is the perfect choice! Flip open the cockpit to set your Iron Man figure at “the wheel”. No matter what enemies he has to take on, your “metal-clad” warrior’s vehicle is sure to chase them down in no time. And when it does, slide the switch to fire the four missile accessories. For ground battle, this tough truck can’t be beat! 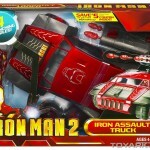 Vehicle comes with Iron Man figure and 4 launching missile accessories. Heh, I would love to meet Hasbro's copywriter for their Marvel toys. He/She has given me a ton of laughs this morning. There are so many ludicrous ideas for this truck that it's almost unbearable. 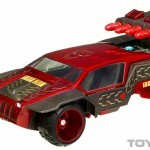 Again, another possible M.A.S.K. custom, but not much else. Saw the Armoured Adventures version of this the other day, not v impressed.